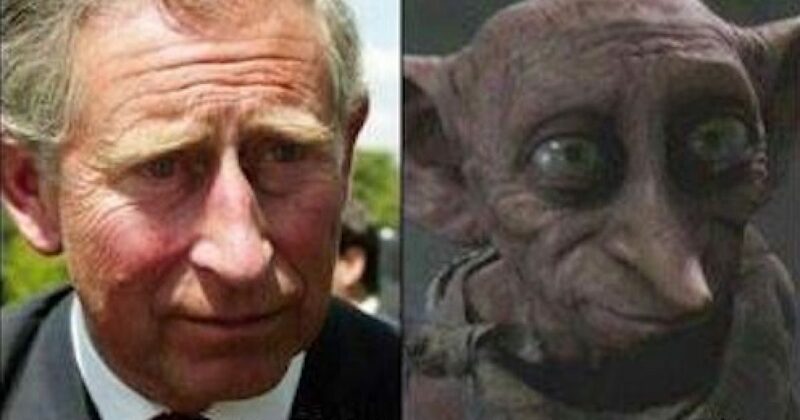 Who knew British royal had ties to Dobby the House Elf? Prince Charles Prince of Wales (Charles Philip Arthur George,[fn 1] born 14 November 1948), is the eldest child and heir apparent of Queen Elizabeth II. Known in Scotland as Duke of Rothesay and in South West England as Duke of Cornwall, he is the longest-serving heir apparent in British history, having held the position since 1952. Thus, Prince Charles serves the British people, unlike Dobby, who served the Malfoy family*! 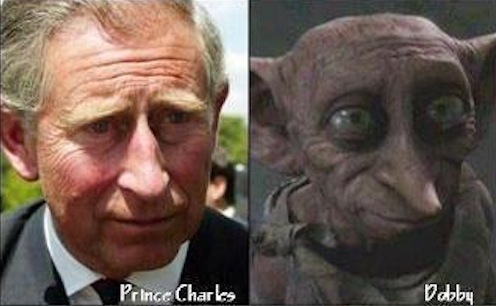 Give Prince Charles a few more decades with no Oil of Old Lady and the resemblance may be even more uncanny!